« Can the Giants Win This Year’s Super Bowl? Owa Odighizuwa is looking for work today, as the Giants announced they have waived the third-year defensive end. Here’s the report from the teams’ official site. 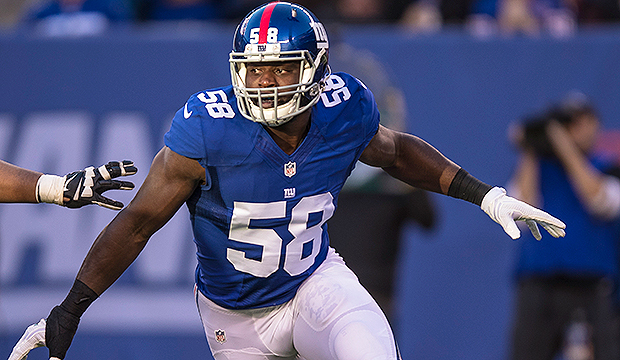 The Giants today announced they have waived third-year defensive end Owa Odighizuwa. The moves comes one day after the NFL suspended Odighizuwa without pay for the first four games of the 2017 regular season for violating the NFL policy on performance enhancing substances. Odighizuwa was the Giants’ third-round draft choice in 2015, from UCLA. In two seasons with the team, he played in 18 games and had four tackles (three solo) on defense, and two tackles on special teams. He saw limited action in each of the Giants’ first three preseason games and was not credited with a tackle. Odighizuwa did not participate in most of the team’s spring drills, including a mandatory minicamp.